Gas Distribution Components | Giacomini S.p.A.
We've established a precise market positioning in the fluid distribution field, in particular with regards gases and liquid hydrocarbons. We're a distribution partner and a firm reference for this sector, thanks also to the specific technological solutions developed over the years, with strict respect of the international standards, reliability and safety being fundamental requisites. 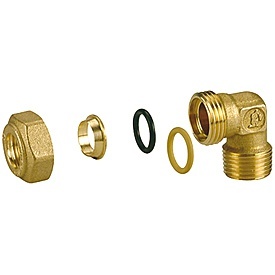 A complete series of fittings (compression, complete with specific yellow O-ring, or 3-piece) for gas and liquid hydrocarbon distribution lines. 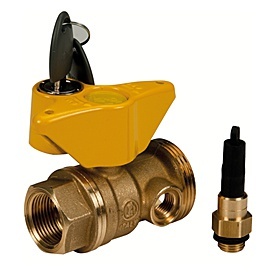 A complete range of ball valves for use with gas (yellow handle), for domestic distribution lines, starting from the post-meter valve. O-ring seal (yellow), complying with Standards EN 549 and EN 682. 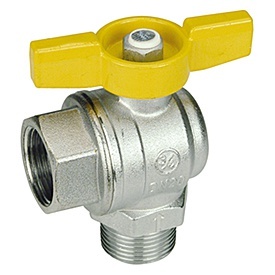 Ball valve complying with EN 331/2013 (model R950). Post-meter ball valves, also available with a safety padlock. Pressure test points for checking the seal on external distribution systems, in compliance with UNI-CIG 7129.